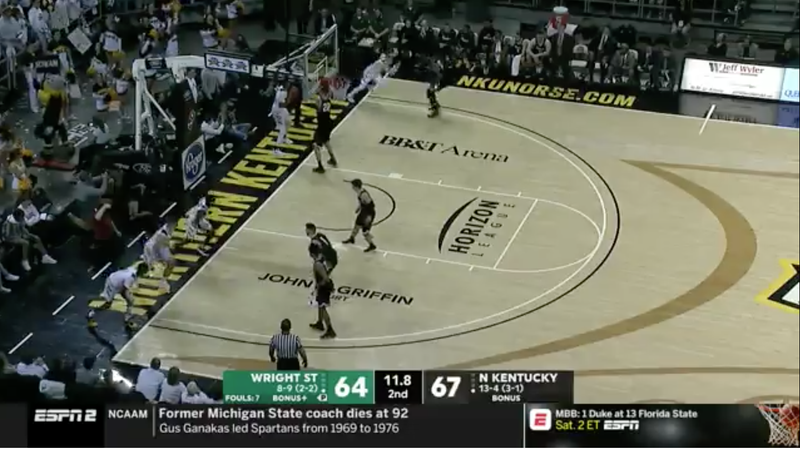 Up three with 11.8 seconds left in the game, the Northern Kentucky Norse ran a creative inbounds play try and get away from Wright State’s attempts at fouling. The home players lined up in what can only be described as a four-receiver set, trips right. 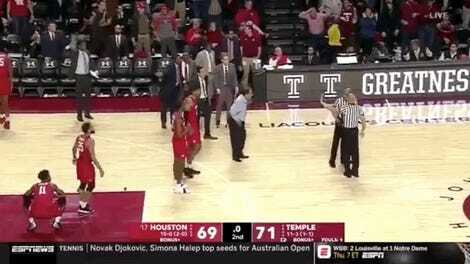 The player to the left of the inbounder/quarterback ran a comeback route while two of the three receivers on the right ran in routes to set up a formation on the court to quickly get the ball away in a relatively safe location. The confusion that this play caused ended up running about nine seconds off the clock before the Raiders could get a foul in. Northern Kentucky would wind up beating Wright State, 68-64. 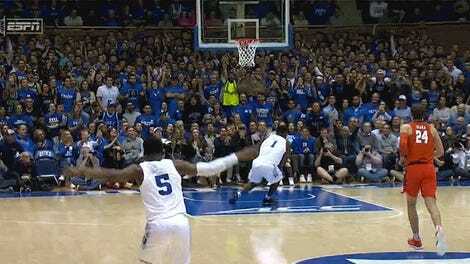 On top of the fact that this play was used to seal the win in a rivalry game, one of the greatest things about this clip was the color commentator saying that the Norse kept it “short and simple” with their inbounds pass—which I guess is technically correct. The only thing that would have made this better is if we got to hear the pre-snap calls and reads from the player in the quarterback role. Let’s get some “Omaha’s” in there next time.